Holy cow on a popsicle stick I had a tough time making this thing! I kind of regret digging out my old N64 and thinking “Hm, should take a look inside this puppy” Had I but known! Oh well. 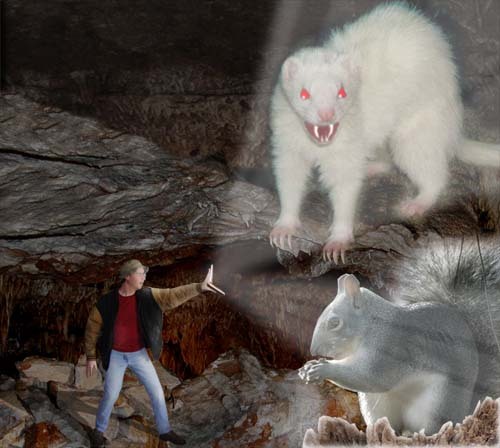 Here now are the facts of the amazing tale, along with photos. Enjoy! 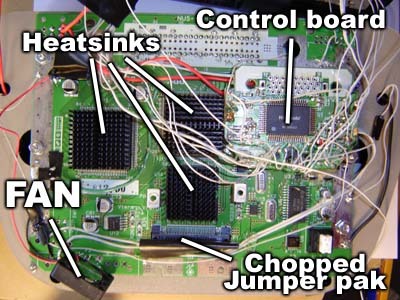 Once I took apart the N64’s case (not an easy task in itself, with those pesky Nintendo screws) I removed all the metal shields and took a look at the motherboard and the cartridge slot. 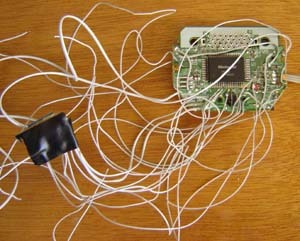 Strangely the expansion slot (on the bottom of the N64) is connected directly to the cartridge slot. 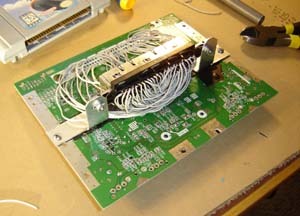 Once you pry up the normal cartridge slot you can desolder the expansion cartridge slot. 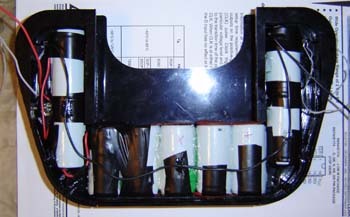 I then designed the portable using trusty old AI (the program, not the Steven Spielberg movie) I had a battery pack laying around that was first intended for the DreamcastAway, then the PS2p, then… the closet. I figured the thing cost me $40 so I should use it for SOMETHING! It has the usual PSone 5″ screen, stereo speakers (not the original PSone screen speaker however) and the tact switch button boards. Folded together there’s actually a good deal of empty space in the front of the unit – this was required for the jumper pak and the heat sinks on the chips. 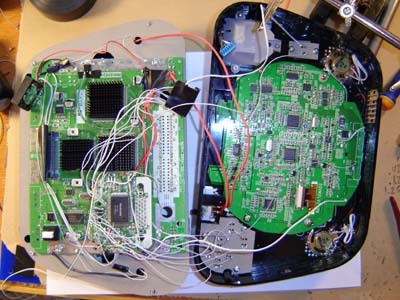 Rubber fender washers (this disc-shaped things from the hardware store) were placed above the heatsinks so the back of the PSone screen would press against them and hold them down onto the chips. Here’s where I placed the shoulder buttons. There’s an indent for your fingers then a long button (that had to be specially designed to flank the batteries and click a tact switch on the sides) You can also see the charge jack. 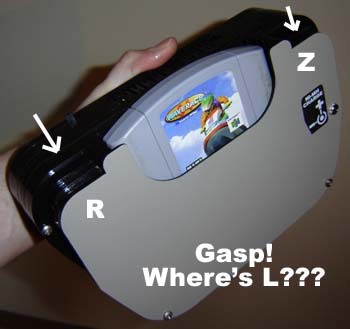 The L button seems to be AWOL in this design… I can’t remember ever actually USING it during a game so I don’t miss it. The D-pad has taken a hike as well. 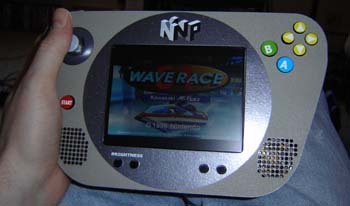 The portable running Wave Race, which was a pretty fun game if you recall. (Plus it had 100 kmPH dolphins in it!) I actually bought this game when I was storyboarding Port Washington so I could play it and have a “jet ski” reference for the end sequence of the movie. The final unit measures 9″ x 5.5″ x 2.5″… making it one of the meatier units I’ve built. Oh well, at least the cartridge slides down the back. Since the DS appears to be roughly the same as a Nintendo 64 (but with blockier-looking textures and of course DUAL SCREENS) I figured this would be a good match! We’ll go by categories and see who comes out on top! 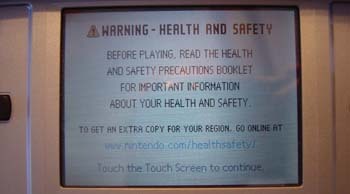 Upon boot-up, has you “Tap Screen” after reading a health warning before you can play? Has new “re-mixed” versions of games you already bought 8 years ago? Nintendo DS = Nintendo 64 games all over again. By this logic the next Gameboy (coming this Christmas I’m sure) will allow you to buy all your existing Gamecube games all over again, but now on 2.5″ discs! 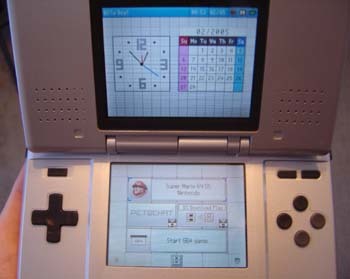 Has a built-in calendar and a screen asking you to select which game to play? Allows you to touch Mario? N64p: NO! A thousand times NO!!! Unlike the N64 version (which was obviously a piece ‘o crap without this feature) you can touch Mario (or that dinosaur thing) and distort their face like a monochromatic Picasso. Wow. Well, the two units seem pretty neck-in-neck thus far… but of course there’s one more hurdle…. Can be played in a cave? 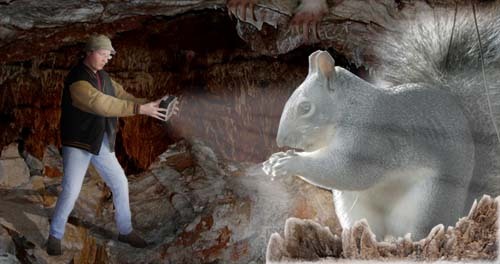 We must make this year’s Gameboy playable in caves! So it will get a good review on Ben’s site, naturally! 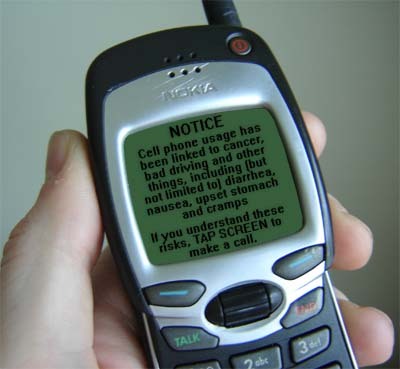 Ah, that is important. But… how? Well, one backlit screen would light up the cave a little, right? So what if the system had TWO screens? Yah!!! Good heavens! An inverted mutant double-fanged sloth-beast! 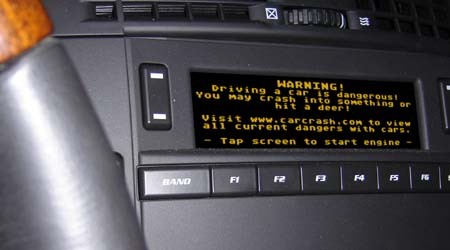 Good thing that second screen was there to light this up for me! Wow, imagine what I could find with 3 screens! So there you have it! Both systems have their ups and downs, but if you’re venturing into a cave the Nintendo DS is the best choice. 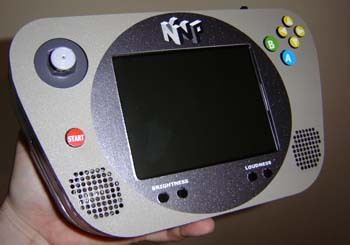 If you’re into the classic N64 games, then the N64p is for you!